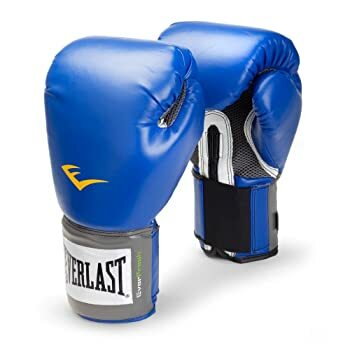 The Everlast Pro Style boxing gloves are probably the cheapest boxing gloves that none can compete. This might explain why they become very popular, especially for starter trainers who don’t want to spend a big budget yet at the beginning stage. Being made with such a low price, the pairs obviously cannot compete with other high-end products in terms of quality. However, they are quite decent and adequate for low usage if you tend to train only a couple of times per week. With that being said, it is not recommended to use this glove in sparring. The prices are very inexpensive. The gloves are made of synthetic leather and EverFresh materials defending against odor and bacteria. The mesh design on the palms allows cooling while in use. Comes into 3 sizes (12oz, 14 andoz 16oz) and 3 typical colors (black, red and blue), offering flexible choices for buyers. Thin padding around the wrists. Short straps don’t secure the wrists tightly enough. Not suitable for intense use and extended training sessions. The Everlast Pro Style glove is made of synthetic leather and equipped with an anti-microbial lining. The pair is made to support and conform with the natural shape of wrists, securing the correct form and punching techniques. The hook and loop design with strap allow users to put on and take off easily, however the downside is that it doesn’t feel snug fit on user’s hands. Hence, you should wrap your hands carefully for extra secure before putting this pair on. Double layers of thin foam do their jobs in offering the overall protection to users’ hands. The ThumbLok feature is a plus for this pair – which helps users to position thumbs and fists in proper forms and prevent injury risks when punching. However, we advise users to always wear hand-wrap and proper support when using the pair. Due to the cut on cost to keep the price low, this Pro Style isn’t made with the strongest materials thus unable to tolerate heavy training. 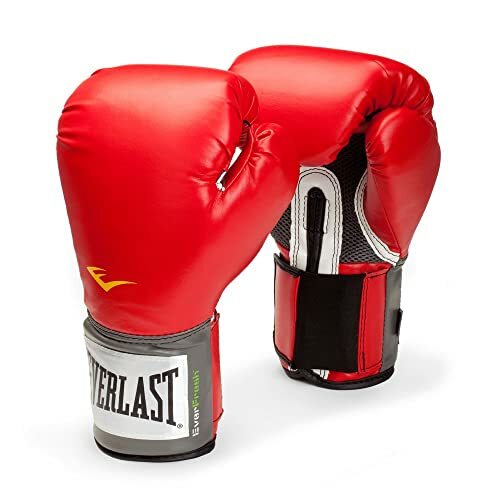 There are quite many conflicts in customer reviews over how durable Everlast Pro Style is. Some complain the boxing gloves tear down after first few weeks of use while other are satisfied with the gloves being long-lasting and valuable for the price tag. From our perspectives, the durability of this pair of gloves really depends on the intensity of your training. You can’t expect premium and outlasting quality with this glove while using it toughly and frequently. 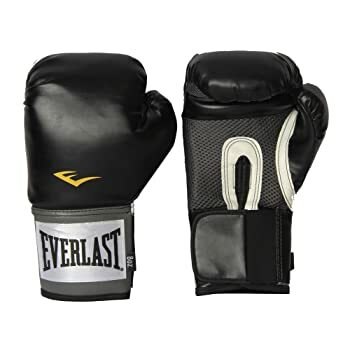 Being popularly used these days, Everlast Pro Style training gloves are excellent choices that not only protect your hands adequately and help you to train properly at the beginning stage of training, but also are priced very inexpensively. In case you target for a higher training level, we highly recommend you to check out Venum Elite boxing gloves – an outstanding pair of training boxing gloves in the market.